The Federal Reserve could raise US interest rates in June sending 15-year gilt yields 7 basis points higher if economic data continues to suggest that the US economy is growing. Improving US economic data for the economy, employment and inflation may result in the Federal Reserve increasing interest rates from the current level of 0.25% by another quarter percent. The gilt yields increased by 7 basis points to 1.99% as US Federal Reserve policymakers considered the option of raising short-term interest rates. Annuity rates are mainly based on the 15-year gilt yields and a 7 basis point rise would at some point result in a 0.7% rise in annuities. The minutes of the Fed meeting showed that most policymakers believe a rise in US interest rates would be appropriate in June. However, not all were in agreement citing concerns that economic signals were not clear enough and that there were external economic factors. Gilt yields have reduced over the last six months from a high point in December 2015 of 2.29% to the current level of 1.99%, a fall of 20 basis points. This would suggest annuity rates would reduce by about 2.0% but they are actually 6.4% lower based on our benchmark example. The above table shows how the standard annuity rates continue to reduce since November 2015 based on our benchmark of a person aged 65 years old with a fund of £100,000 buying a lifetime annuity on a single life, level basis. 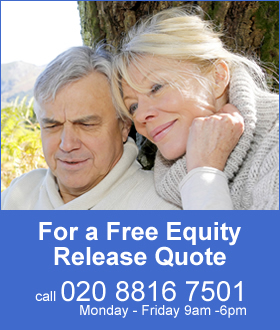 The fall in the rate since November of £361 pa would reduce the lifetime of the annuitant and based on the Office of National Statistics (ONS) we would expect a male to live for 17.3 years and he will have £6,245 less over his lifetime. For a female she can expected to live for 20.4 years increasing her income by £7,364. Interest rates in the US, Europe and UK have been kept at a record low level following the financial crisis in 2008. Lowering interest rates is one of the methods used by central banks to prevent the economy collapsing by reducing the cost of borrowing. The effects of the financial crisis according to the Federal Reserve projections is show the rate of interest required for stable growth and prices will remain low for the foreseeable future. 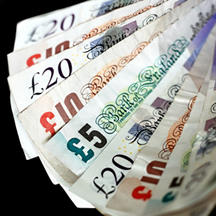 A rise in short term interest rates will have a knock-on effect on long term interest rates such as bonds and gilts. For the US, Europe and UK a target interest rate level is 2.0% and any increase in rates would see yields increase in the short term. However, these may drop back again if there is not a momentum to raise interest rates over time.